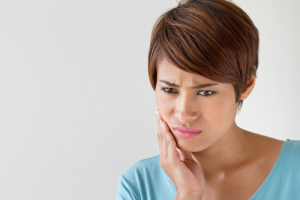 Studies show that between 8% and 15% of the population suffers from dental anxiety. Do you feel uneasy about visiting the dentist, even for something as simple as a checkup or dental cleaning? Then you may benefit from dental sedation, which can help you undergo the treatment necessary to improve the beauty of your smile. What is sedation dentistry? Question: Who benefits from this procedure? Answer: We typically recommend this option for patients who have mild to severe dental anxiety. Otherwise, they may avoid even the preventive treatments that ensure your smile remains whole and healthy. Patients with overactive gag reflexes, which make oral treatment difficult, may also benefit from a calming agent. Once administered, patients will remain conscious but enter a state of relaxation. The patient will have little to no memory of the treatment. Question: What is nitrous oxide? Answer: A mild and common method of calming patients, nitrous oxide is also known as laughing gas. We administer the gas with a mask and the patient feels relaxed. The effects wear off almost immediately, so patients can drive themselves home or return to work or school. Question: Why does Dr. Ganjoor offer oral sedation? Answer: In some cases, major anxiety will require a deeper form of relaxation. In this case, nitrous oxide may not be enough. Take via pill, oral relaxation allows the patient to remain conscious but very calm, with no memory of the treatment. Patients will remain groggy for a little while, so they should arrange for a friend or family member to bring them home. Don’t operate machinery or drive until the effects have completely worn off. Question: Can these methods of sedation be combined? Answer: yes. In cases where a patient requires very deep calming, we will combine nitrous oxide and oral sedation.